Rapper's call to anti-Semitism at federally-funded university event on Israel-Arab conflict highlights deeper problem, filmmaker says. Newly-released video from a federally-funded event sponsored by Duke University and held at the University of North Carolina has revealed anti-Semitic content during what was billed as a conference on the Israel-Gaza conflict. Last month, the University of North Carolina Chapel Hill hosted the Conflict Over Gaza: People, Politics, and Possibilities conference, which was cosponsored by Duke University and funded in part by a federal grant of some $235,000. Documentary filmmaker Ami Horowitz, who filmed portions of the conference before being forced off campus, released footage and audio recordings from the event on Sunday. 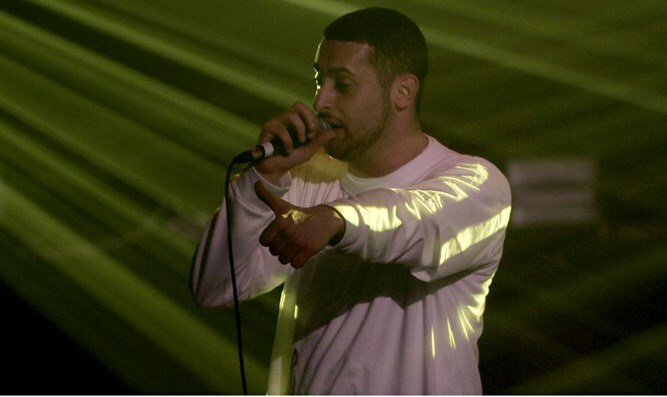 The footage taken by Horowitz includes a performance by the anti-Zionist Israeli-Arab rapper Tamer Nafar, who can be heard calling on the audience to “go that anti-Semitic”, before launching into a rendition of the song “Mama, I Fell in Love With a Jew”, by Nafar’s rap group, DAM. Nafar, a former protégé of the Jewish rapper Kobi Shimoni – better known by his stage name “Subliminal” – has come under criticism in the past for his comments on suicide bombers and claim that Israel is a “terrorist state”. Even Horowitz, who has documented anti-Israel events in the past, was taken aback by the open anti-Semitism he encountered at the conference. "I heard there was a conference going on about the conflict in Gaza, and my initial assumption was that it was going to be a hate fest against Israel," Horowitz said in an interview with ABC-11. One professor, who was not named, even appeared to blame Jews for the recent spate of anti-Semitic attacks, committed mostly by young black men, in Brooklyn. “Blacks have a lot of, also, reason to be angry at Jews now,” the professor said. Audio taken from inside the conference highlighted snippets of conversations with attendees who articulated anti-Semitic canards regarding Jewish influence and the manipulation of global politics by Jewish money. “They’re influencing our politics,” another woman said of the “Jewish lobby”. “Their money rules the world,” another attendee told Horowitz. Days after the event, Swastikas were found drawn on campus. Later, posters warning of “an evil Jewish plot” were also found on campus. Last Friday, University of North Carolina Interim Chancellor Kevin M. Guskiewicz condemned Tamer Nafar’s performance, dubbing it “disturbing and hateful”.